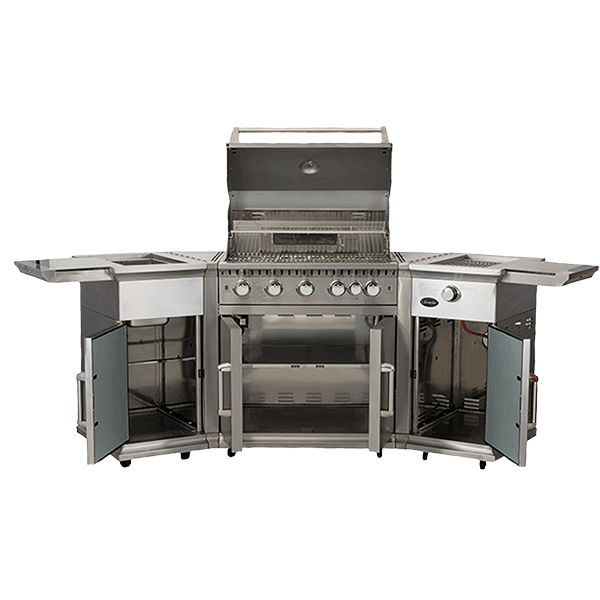 - a rotisserie back burner and double skinned roasting hood with temperature gauge, that allows the chef to roast meats and vegetables to perfection. 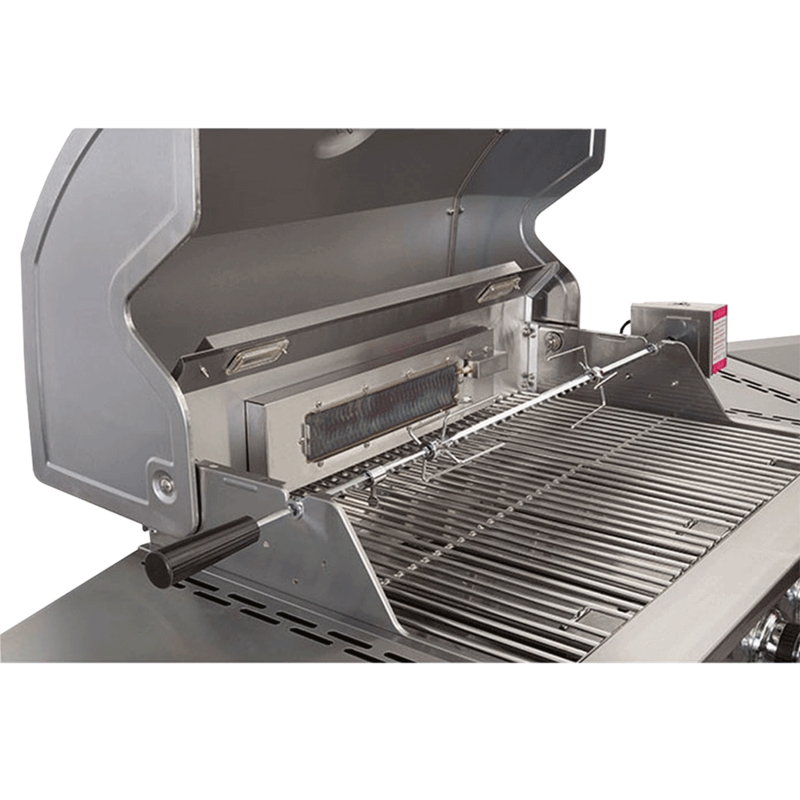 - An OPTIONAL electric rotisserie is available. 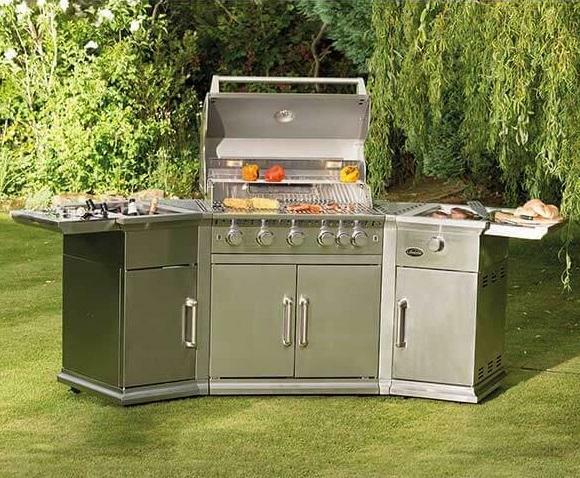 This slow turning kit has an electric motor, bracket, rotisserie rod, black Bakelite handle and set of prongs. 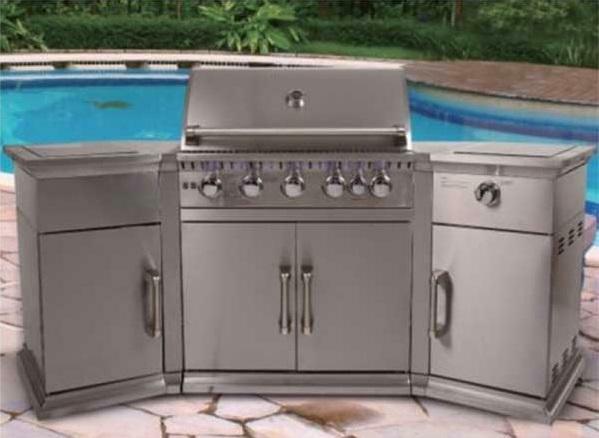 This kit is ideal for slow roasting chicken or large joints of meat. 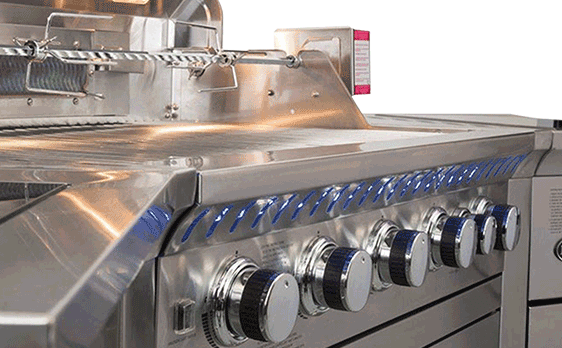 - 2 halogen bulbs in the grilling area, blue LED lighting for the control panel. MAX THERMAL INPUT: Total 22.3 kW.